Jayde Robertsen enjoyed a fabulous graduation year from South Delta Senior Secondary in 2016-2017. She finished playing high school volleyball with the SDSS Sun Devils, secured a full scholarship to Eastern Washington University (Division 1 NCAA), won a Provincial championship with the Coquitlam Ducks (club volleyball), and gathered many accolades along the way. It was definitely a year of highlights to conclude her high school time. Jayde enjoyed growing up in Tsawwassen attending Cliff Drive Elementary before moving on to SDSS. Prior to volleyball becoming her main sport, Jayde shared her time on the softball diamond with the Heat ’99 team, the soccer pitch with Tsawwassen Soccer Club, the basketball court and the yoga studio. The cross training helped to make her a complete volleyball player. Once volleyball became her sole sport of choice, Jayde flourished on the court. The SDSS Sun Devils finished as Delta Cup Champions in 2016 and 2017. Jayde was named Delta Cup All Star in 2017. As well, Jayde received an SDSS Volleyball Achievement Award for 3 consecutive years 2015 – 2017. Remaining with high school accolades, Jayde was named SDSS Female Athlete of the Year in 2105. In 2017, Jayde was recognized as Sportsperson of the Year at South Delta Secondary School alongside her good friend (and fellow DSHOF Sport Champion) Grant McDonald. One of the aspects that Jayde most enjoyed about being a member of the SDSS volleyball team was the camaraderie and the close connection between the girls volleyball team and the football team which seemed to draw much of the school together and engender a sense of pride amongst the entire school community. Jayde, looking to excel in volleyball, played with the Coquitlam Ducks club team throughout her high school years. That team was the 2017 Provincial Champions, a victory made that much sweeter since they had been the runner-up for the previous three years. Jayde earned first team All Star at the provincials. 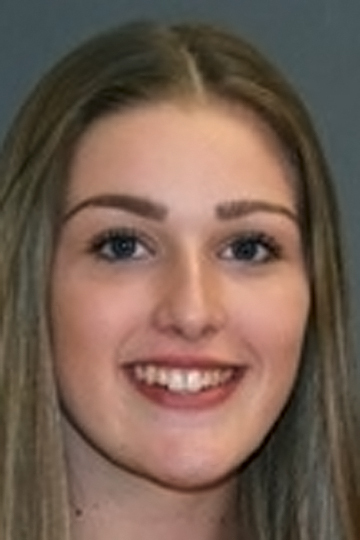 Jayde was also voted the #2 volleyball athlete in the Top 15 list from the Province newspaper in 2017, a final and fitting accolade in her graduating year. Already at Eastern Washington University, Jayde has earned her spot in the starting 6 rotation this fall.